Lombok is all about new discoveries and once-in-a-lifetime experiences. This island has been an integral part of tourism in Indonesia for decades, and now it’s more popular than ever. However, most of the popular spots are already very well known to the “active” tourists, and it’s not always fun to switch from one beach to another (even though they are quite amazing). 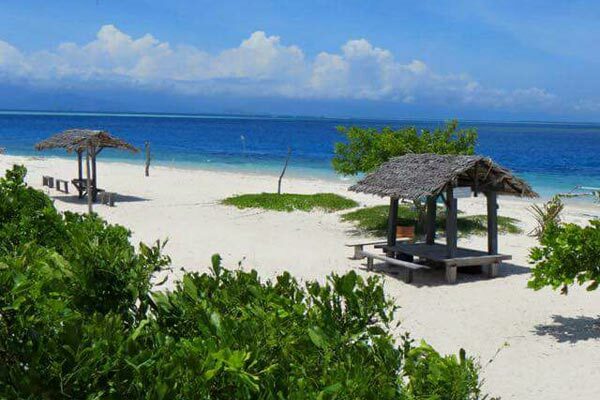 That’s when spots like Gili Kondo come to light: it’s a tiny island located in the north-eastern part of Lombok. It’s quite tiny and can only be reached by a sea vessel. That means two things. First of all, you’ll get to enjoy the fascinating nature while sipping a cold drink on the ferry/speedboat. Second, Gili Kondo isn’t one of the most recognized and loved landmarks; therefore, the island will always be half-empty, perfect for a honeymoon, a wedding, or a solo trip towards rediscovering yourself. The locals are even calling it the “Secret Island”, as only a select few foreigners know about it. Same goes for the citizens of Lombok, by the way. So, what does it have to offer apart from the secluded atmosphere? Is it beautiful, or average at best? Are there any public facilities on the island? Will you get bored after 1-2 days? And finally: how much will the boat ride cost during the high season? Let’s answer all those questions right now! What Is Gili Kondo All About? Before we get into more details, let me just say that Gili Kondo isn’t the only tiny piece of land in the area. It is surrounded by other islands – some small, some big. Gili Bidara is located right above it and can be reached in 10-15 minutes (or even less). Gili Pasir and Kapal are also in the vicinity. My personal favorite – Petagan – is the biggest one. So, as you can see, this trip won’t limit you to only one Gili. Move up and down the ocean on the rented boat in search of new, uncharted lands. Obviously, they aren’t uncharted, but for us, visitors from other countries, all these discoveries are thrilling and exciting. Again, for a honeymoon, this place is great. There are some tours in Lombok that take you through the best islands in the eastern region (for a price, of course). However, in my opinion, it’s always better to make these discoveries with your friends/loved ones. Just make sure not to get lost in the middle of the ocean. The exact address is Sambelia district, West Nusa Tenggara province. Once you arrive at Gili Kondo, you’ll be amazed by how clean it is. No plastic bottles, bags, or anything else. Trash is actually becoming a big problem in Lombok and Indonesia as a whole, which makes this island more attractive for the fans of trash-free beaches. Note: during the wet season, there may be some trash lying around. Without a doubt, this is one of the most beautiful landmarks in the area. For swimming and snorkeling, it is just the right place. The white sand is captivating, and the views are magnificent. You won’t even have to wait until the sun goes down or wake up early for a great shot: the island looks amazing 24/7. The crystal-clear water is always nice and warm; the underwater life is rich and full of exotic fish. Grab your camera and take selfies with the eels and goldfish! For camping out with your buddies, fishing and cooking something delicious right there and then, Gili Kondo is one hell of an island. It’s all about that wild and free tropical experience. By the way, there’s a lovely old couple living in Lombok that visits Kondo every weekend to take care of it. But they won’t disturb your peace and you’ll still be able to feel like the king of the jungle. In fact, they even cooked a nice meal for us and helped with the snorkeling gear. When we got there, the island welcomed us with a wonderful climate, slow, calm beaches, big, tall trees, and total solitude. You can walk around the place in approximately 20-30 minutes, which should give you some idea about the dimensions. Gili Kondo might not be as “comfortable” as the other Gilis, but it sure does have its own benefits. As mentioned earlier, public service isn’t Kondo’s strongest suit. There is, however, a public toilet, along with a couple of vendors that sell drinks and snacks. Important note: in order to protect yourself from the sun, bring a pair of sunglasses, a hat, and some sun cream with you. A medkit might also come in handy. Plus, if you’re planning on swimming, don’t forget to grab some dry clothes. For a nice family trip, Gili Kondo might also be a good idea. The kids will have enough space to run around and play. The grown-ups will enjoy the beautiful sceneries and the chance to be totally alone with each other. At the same time, it might get boring; that’s why I talked about the neighboring Gilis in the beginning – don’t be afraid to pay them a visit as well. Compared to the over-crowded beaches with little vendor boys following you on every step of the way, these islands offer a completely different atmosphere. The coral reefs are beautiful, and you won’t have to be a pro to take some awesome pictures. According to some locals, the government is planning on expanding its influence over this area and turning Gili Kondo into one of the biggest resort islands. That’d be great because it sure does have what it take to be a tourist magnet. In some places, you’re required to pay a fee for camping; that’s not the case here. The waves are very calm, meaning you won’t be able to surf. But, for diving/swimming/snorkeling, it’s more than fine. Keep in mind that Kondo is among the coldest spots in Lombok and you might need some additional clothes to stay warm at night (I’m not talking about sweaters, of course). Interesting fact: Gili Kondo is like the Gili T of East Lombok: yes, it is the most popular island in the area. Still, there are only a couple of berugaks to welcome you. Oh, and let’s not forget about the tiny shop I mentioned. There aren’t any hotels/guest houses, though. And that means tents are the only logical solution for the tourist that want to spend more than a couple of hours there. If you want to be alone in Gili Kondo, pick a day between Monday and Thursday: the tourists/locals will storm the place during the weekends. Speaking of accommodations, I need to say that there are enough options once you reach the Lombok shore. The views from those hotels are breath-taking; however, it won’t be cheap to rent a room in one of those spots. There are also some restaurants that are equally delicious and affordable. You might need to walk for 20-30 minutes to get to one. So, we already learned that it’s located in East Lombok, one of the least developed and explored parts of the island. Since public ferries are slow, boring, and don’t head that way every single day, a speedboat is a far better pick. You can either rent one from the “official” renters or bargain with the local fishermen. But a speedboat might not be available, and then you’ll have to be cramped up in an old boat that takes in up to 15 tourists. From the Lombok International Airport, the ride to the boats will take approximately hours. You’ll be driving along the eastern coast and get a chance to admire the view from the back seat (or behind the wheel if you decide to rent a car/bike). Mataram is even further away: to get to Gili Kondo, you’ll need 2 hours and 15-20 minutes. They say that scooters are best for driving through East Lombok Regency. Alright, that’s pretty much it. Summing up, let me just say that for romantic getaways, family trips, and spiritual journeys, this island is just right. You won’t be charged a penny when you step foot on the white sand. But don’t forget to pack the bag with enough food. Beach volley, walking under the sunset, and telling crazy stories around the campfire are the most popular activities among the tourists (along with the water activities, of course). I loved Gili Air and really wanted to check Kondo out as well. It turned out to be even better than I thought! Perfect for a romantic trip, no doubt there. However, for meditation and stuff like that, I think the Lombok beaches are better. I've always been a fan of the camping lifestyle, ever since childhood. The island is amazing. It does get cold at night, though. Thanks for reviewing this not-so-popular Gili. Kondo is one of the greatest spots in Indonesia and deserves recognition. The underwater life is quite impressive. Thankfully, it doesn't cost much to rent the snorkeling gear.